Is this a sign of things to come in other countries? In Japan, Sharp is currently developing [JP] an inexpensive tablet aimed at a very specific target group: elderly online shoppers. Big S has teamed up with Japanese retail giant Aeon whose “Net Super” online store will be featured in a central position on the home screen. The plan is to let users of the tablet visit the store with the push of a button and pay for products using Aeon’s proprietary electronic money “Waon”. Sharp says that in order to attract elderly users, the tablet will have larger fonts and be extra-easy to use. The company will likely go for a Galapagos-based piece of hardware and is also expected to handle the software and design side of things. 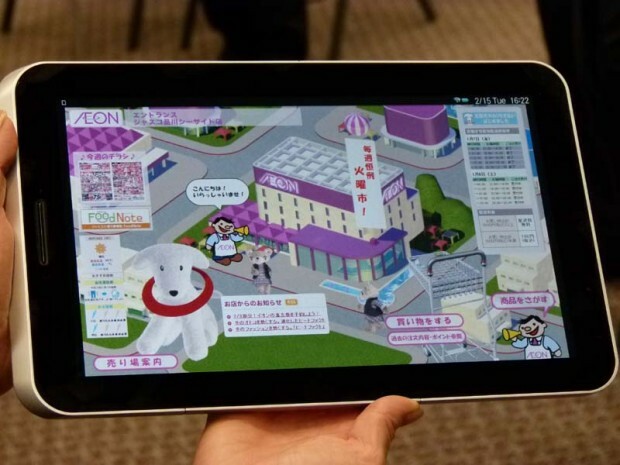 What’s also interesting is that through the deal, distribution isn’t an issue: Aeon plans to start offering the tablet in its stores all over Japan and hopes to sell 50,000 to 60,000 units in the first year (price: “under $600”).